The first time I have heard about the brand Belif is when the bntGirls were informed that this brand and Beyond, will be joining the bntGirls beauty project. I have told my best friend and former beauty blogger, Jill, about this brand and she told me that is one of the best beauty brands out there. 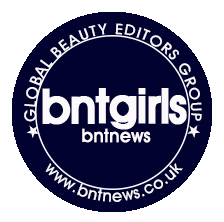 I started to a bit of researching on the products they had and I was quite excited to receive my own bnt Beauty Box and try out Belif products. Belif (believe in truth), represents tradition, science and a promise to deliver true value to customers, and is a "true herbal cosmetic" brand that is based on the processes and philosophy of UK herbalist and botanist, Duncan Napier. I was fairly surprised to find that I would not be only trying out one but two Belif products since bntNews sent in a Belif special set which contains the Peat Miracle Revital Serum Concentrate and the Peat Miracle Revital Cream. The main components of this serum is the peat herb extract which helps in skin protection. It aims to create resilient, healthy and radiant skin , provide skin nutrition and prevent wrinkles. This product does not contain non mineral oils, synthetic fragrance, synthetic ingredients and animal ingredients. As opposed to the eye catching, blue box that this set comes in, the actual box packaging for the product is actually quite simple and clean looking. The serum concentrate comes in a generous 30 ml, light frosted green bottle which is cool and pleasant to my eyes. As much as I like cute packagings, I also love the simplistic beauty that this bottle have. It also comes with a dropper which is packaged separately in another box. To use the serum, apply 2-3 drops on the face after using a toner. I only needed 3 drops of this product to completely cover my face. The texture and consistency of the product is slightly watery and I noticed how quickly it absorbs into the skin. It doesn't leave any oily or tacky feeling on the skin but the skin does feel somewhat moisturized. Since it is a serum, it will not give an intense hydrating effect on the skin as a cream will do. I am not a particularly a scent-sensitive person but I have noticed a fresh, slightly earthy scent to this serum. I quite like the subtle scent; it is very faint to be noticed and if you don't have a sensitive nose you might not even notice it. As I said earlier, by itself, this serum won't give you any hydration. This product is supposed to nourish the skin and is also geared towards anti-aging. I have nothing negative to say about this serum but just like the previously reviewed Dermal Snail Nutrition Wrinkle Cream, I am not in awe of this product either. The Peat Miracle Revital Cream holds the same packaging as the serum. It comes in a 50 ml frosted green jar with a plastic screw cap lid. I really love the earth-toned packaging that this Peat Miracle Revital line comes in. The cream is described as a superbly rich, moist cream that provides intensive skin care treatment that nurtures and moisturizes the skin. Pardon the lighting but the actual product is actually cream in color and not white. The texture reminds me so much of my all time favorite moisturizer which is the Cetaphil Moisturizing Cream in the sense that it is thick but melts and is absorbed easily by the skin. It doesn't feel greasy or tacky like other moisturizers. Like the serum, it has a subtle fresh scent to it minus the earthy scent - this one more fresh water scented (if you get what I mean - it's hard to describe scents!). This cream gives me adequate hydration throughout the night and goes really well with the Peat Miracle Serum Concentrate. I find that if I only use the cream by itself I don't get that much hydration to last me throughout the night. It is a fairly good cream for the end of summer where my skin is in the transition mode again. I am dreading the colder months because my skin gets extremely dry. With the weather being crazy, fluctuating between hot and chilly, this cream seems to be the perfect answer to my skin hydration needs. I'm sure this wouldn't be the best choice as my moisturizer for the colder fall weather but for now it is. I am glad to be able to try out these two products and the Peat Miracle Revital Cream definitely trumps the serum. I quite like both products but not to the "I'm in love" with it point. I hope you ladies quite like my 2 in 1 review of these Belif products. Please do check out their website for more information. I have to say that their website is probably one of the most interesting and cute beauty sites I've seen.